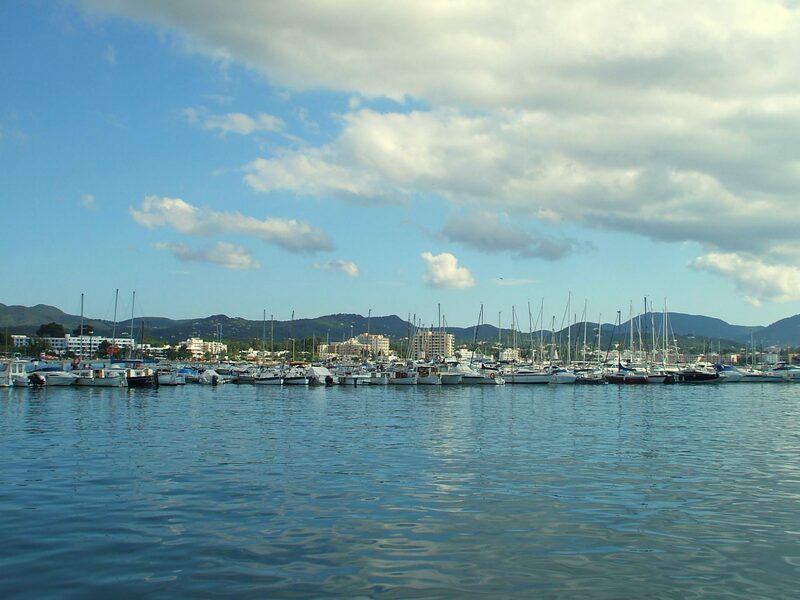 San Antonio Bay is located on Ibiza’s west coast and is famous for its gorgeous sunset views. The Bay is just south of San Antonio town and some would say it is that party spot’s slightly more mature relative. It is a more relaxed resort than San Antonio town, a better option for families, but still close enough to the action to make it a good choice for anyone looking to be seriously entertained. The Bay is rumoured to be one of the most beautiful in the Mediterranean and the sea views are some of the best you will find on the island. If you’re a beach bunny then this is the resort for you because San Antonio Bay has five – that’s five – beaches. If you can’t find the perfect sunbathing spot with that much choice then there’s something wrong with you. The Bay’s beaches are not huge (but large enough) and there’s also the main beach at San Antonio just a short walk away. If six beaches in the near vicinity still isn’t enough variety then the best beaches in Ibiza are all on the same side of the island – Cala Bassa, Cala Conta and Cala Tarida are all just a short journey away. With so much accessible beach action, there’s also plenty in the way of sun loungers, parasols and for anyone feeling the need to sweat out a hangover, a wide variety of watersports. You can tear around on a jet ski, hop on the back of a banana boat or strap yourself in for some parasailing – if you time it right you could even find yourself up in the air in the middle of one of the stunning sunsets the Bay is known for. For kids, there’s every kind of activity you could possibly hope for, from bouncy castles, to mini golf and a variety of play parks. San Antonio Bay is not a culinary centre of the island (see Santa Eulalia – only a short bus ride away – if that’s what you’re after), however you certainly won’t go hungry, and you won’t be skint either as San Antonio Bay is considered one of the best value resorts in Ibiza. There’s the obligatory English pub, some lovely beach side restaurants serving beautiful fresh fish, a steak house and a couple of Italian places – plenty to choose from to set you up for a night out or send you off into a nice, refreshing sleep. San Antonio Bay is incredibly well connected – it is easy to get there from Ibiza airport by bus or taxi, or by ferry from the mainland ports of Barcelona and Denia. There’s a regular bus service that will take you all across the island, as well as to neighbouring San Antonio Town. The legendary “Sunset strip” is within walking distance, with some of the best beach bars on the island along the waterfront – including the famous Kumharas, perfect for hanging out with friends while watching the spectacular sunset. And when the sun goes down San Antonio Bay has entertainment aplenty, from the selection of bars and pubs, to local disco Summum. But of course that’s not all you can access from this prime spot on the island. For the clubbing crowd, San Antonio is just to the north and can be reached on foot or by hopping on the free Disco Bus that runs during the party season to San Antonio’s biggest clubs, Es Paradis and Eden. You can also get to any of the other big clubs with very little hassle so smart clubbers base themselves in San Antonio Bay as it’s so close the action of San Antonio but generally has a higher standard of accommodation and a better beach. San Antonio Bay has a wide assortment of excellent accommodation ranging from hotels to self-catering apartments. Nearly all have air conditioning and swimming pools, and most are right on the beach. Some hotels, such as the Reco des Sol Aparthotel, offer scuba diving packages. A date for the diary is the Fiesta of St. Bartholomew which is celebrated in San Antonio Bay every 24th August, with music, festivities and a magnificent fireworks display.